There’s no doubt that ‘Mystery Of Chess Boxing’ is a kung fu film that’s held in high distinction around the globe. In cult cinemas the world over this classic independent feature has wowed audiences and earned hysterical cheers from the avid public. 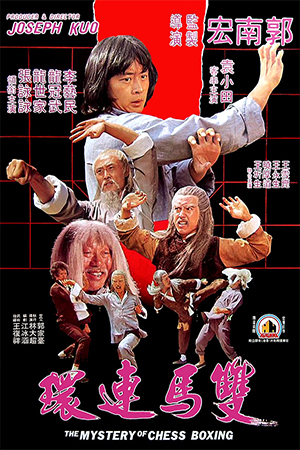 The storyline is a very simple one, seen in literally scores of other kung-fu films of the 70s. It centres on one young man’s quest to find his father’s killer and, to this end, his development as a fighter. 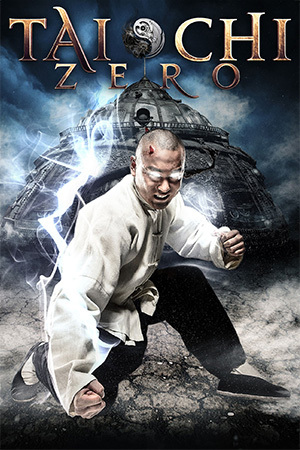 Initially he finds himself bullied by all around until he meets an elderly master (Yuen) who teaches him a few tricks. These prove to be adequate for his day-to-day living, but cannot fulfil his deep desire for revenge. This changes when he then encounters a humble chess master and his young daughter. The mysterious chess player later reveals himself to be a former kung-fu chief who held sway over the area with his fellow fighters. Unfortunately he had been forced to go into hiding after being badly injured in a fight and also coming under scrutiny by the dreaded ‘Ghostface Killer’ – a fearsome warrior who is wiping out all who once opposed him. 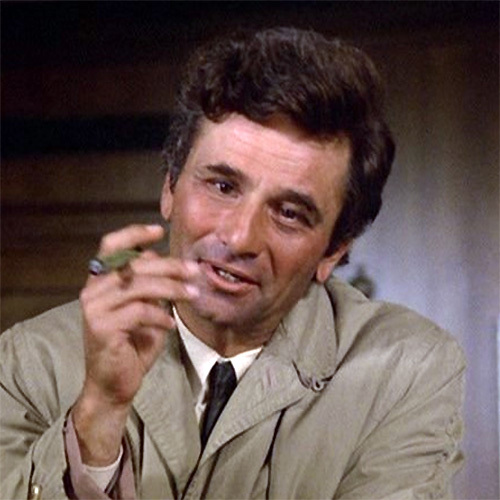 Coincidentally it is the Ghostface Killer who was responsible for the death of the young avenger’s father. Therefore he needs to be trained up to combat the ‘Five Elements’ style of the formidable foe and strike a blow for justice. 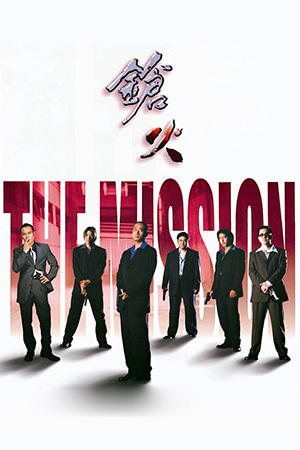 There is nothing original or innovative about the plot, as has already been stated, but this is something which does not affect the entertainment value of ‘Mystery Of Chess Boxing’; the strengths of the film outweigh any of these expected weaknesses. 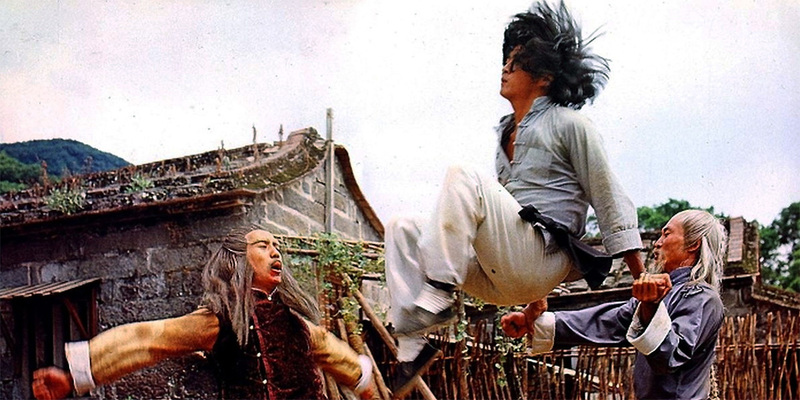 The stand-out feature is the abundant fight scenes that are not only exciting, but also have a level of imagination not always seen in independent kung-fu cinema. The mixture of ostentatious styles and acrobatic moves means that this certainly never has a dull moment. Director Kuo also fashioned one of the Jade Screen’s most infamous villains – ‘Ghostface Killer – and it is this presence that is particularly memorable. Ghostface Killer provides the protagonists with a real challenge and also managed to etch his name in the pages of Hong Kong cinematic history. 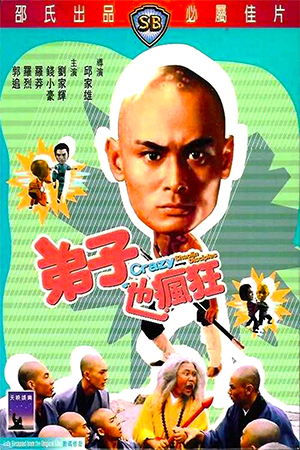 The film is too formulaic to be considered among the best that kung fu cinema has to offer; there have been too many other great productions to allow ‘Mystery Of Chess Boxing’ to sneak in. 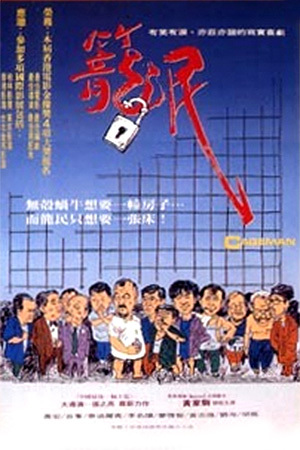 While it does not compare to the classier output of Chang Cheh, Liu Chia Liang et al, there is still much to recommend it. A cult classic that just about lives up to its reputation.